In a LinkedIn discussion I provided below answer for the question "In India, why do technical people end up in people and project management?" People expect more salary when the experience is getting increased. So, they are forced to take management role. Anyway the technical background will help them to manage the technical people more effectively than other managers. Anyway, if they are not interested to move into the management role they are always having option to start their own company which will help them to get everything ( i-e high income, effective usage of their technical skills, opportunity to improve their technical knowledge and learning management from experience). But it will take time and needs entrepreneurial spirit. You can share your comments about this answer. We have done some improvements in our Easy Learning project. Find below some of them. -Added Cache feature so that the images can be loaded immediately while playing the Games having images. (e.g Social Media). Since this enhancement lifted the restriction for using images, I am planning to introduce more topics with images (e.g Country name and Country flag). - Added "Bulk upload" facility for the Admin module. It will help the Admin to load data for the new topics easily just by uploading a CSV file. It will save time for adding data. Since this feature helps to add lot of data easily, we will be releasing more topics with more data soon. -Added some new topcis. As of now, we are having below topics. If you need to develop any projects you can contact us. And, read the benefits of outsourcing your projects. Facebook has recently allowed its users to "Like" any content on the web and have that activity posted to their walls. This facility helps to share content more readily and also gives web masters an estimate about how their contents are liked by Facebook visitors. This "Like" button is something an addition to the FaceBook fans options. This "Like" button can be added in any website or blog. You can see this feature in our blog also. In our website, I used below coding for getting current url. And, the code will look this below one. The Activity Feed plug-in an another social plugin from Facebook. It displays the most interesting recent activity taking place on your site. It will show the details about both "likes" and "share" activities of your friends. If you logged in with your facebook account then you can see the details about friends "likes" in any webpage. If you haven't logged in with your Facebook account this plugin will show the most "liked" pages as recommendation. We can easily get the acivity feed code from this page. Google has released Google Analytics Opt-out Browser Add-on for allowing the website visitors to prevent the Google Analytic from collecting their browsing details. The beta version of the opt-out is available for Internet Explorer, Firefox, and Chrome. We can download it from here. Recently FaceBook is facing privacy related issues. This may the reason behind Google's this decision for allowing the users to disable the Google Analytics. Since this add-on won't stop any other analytics tools, web masters can choose any other tools to get the complete traffic details. And, if many users start using this add-on the data collected by Google Analytics will become useless as it will represent only some part of the actual traffic data. So, it will affect the Google Analytic growth. Share thro' comments if you know any other reason for this decision from Google. In linkedIn Discussion people were discussing about the additional functionality and improvements required in QTP. I have mentioned below requirement in this discussion. Allow QTP Script execution while minimizing it so that we need not have separate machine for test script execution. Find below the requirements from others. Most of the people want to have the ability for opening multiple tests at a time. A way to inherit test/action resources. A better coding/IDE environment with better intellisense, code folding, better debugging (ability to see object contents).. Better version control. Being able to check out previous versions of a test. Shared code libraries in QC. i-e ability to save in a common library share that all projects could use. Scripts should be able to run on a locked computer. User should be able to attach encoded functional library (I.e. .vbe extension file). Expose runtime engine as an API so we can start using languages other than VBScript. Improved support for distributed parallel scalable execution (cloud/VM) with reporting concatenation. More descriptive error messages rather than "Generic Error" message. Let me know thro' the comments if you have any other wish list. And if you want to learn Software Testing and QTP automation refer this blog post. In my previous post I have explained the importance of doing Link Exchange to boost Search Rank our web pages in Search Engines such as Google, Bing and Yahoo. Submitting our web pages to Social bookmarking/networking sites will also give some SEO advantage. And, it will help for quick indexing of our web pages by Search Engines. It is very important if you are publishing any article about any latest news. And, our web pages will be getting more visibility from the members of the Social networking sites. It will be promoted very quickly to get lot of traffic if the Social networking site members like your article. There are lot of Social Bookmarking Site available. Find below some of them. This list was updated on May 06 2014. Contact rajamanickam.a@gmail.com if you find any error in this list, and you can send your suggestions to improve this list further. slashdot.org - Slashdot is a technology-related news website owned byGeeknet, Inc. The site, which bills itself as "News for Nerds. Stuff that Matters", features user-submitted and -evaluated current affairs news stories about science- and technology-related topics. Your submission will reach front page after manual review only if you are submitting latest technology news with summary information and with appropriate sources. flickr.com- Flickr is an image hosting and video hosting website, web services suite, and online community created by Ludicorp and later acquired by Yahoo. digg.com- Digg is a social news website. Prior to Digg v4, its cornerstone function consisted of letting people vote stories up or down, called digging and burying, respectively. Digg's former popularity prompted the creation of other social networking sites with story submission and voting systems. Digg popularity is going down now. Anyway still worth spending time with this site. technorati.com- Technorati is an Internet search engine for searching blogs. By June 2008, Technorati was indexing 112.8 million blogs and over 250 million pieces of tagged social media. http://del.icio.us- Delicious (formerly del.icio.us, pronounced "delicious") is a social bookmarking web service for storing, sharing, and discovering web bookmarks. The site was founded by Joshua Schachter in 2003 and acquired by Yahoo! in 2005. By the end of 2008, the service claimed more than 5.3 million users and 180 million unique bookmarked URLs. http://www.diigo.com/- Diigo is a social bookmarking website which allows signed-up users to bookmark and tag web-pages. It allows users to highlight any part of a webpage and attach sticky notes to specific highlights or to a whole page. These annotations can be kept private, shared with a group within Diigo or a special link forwarded to someone else. The name "Diigo" is an abbreviation for "Digest of Internet Information, Groups and Other stuff"
http://bookmarks.yahoo.com/- Yahoo! Bookmarks is an online service that lets you save links to your favorite web pages with your Yahoo! account so that you can access them from any computer connected to the Internet anywhere in the world. If you’ve bookmarked pages using your browser’s feature, you can import those links into your Yahoo! Bookmarks, and have all of your favorite pages at your fingertips. twitter.com Twitter is a website, owned and operated by Twitter Inc., which offers a social networking and microblogging service, enabling its users to send and read messages called tweets. Tweets are text-based posts of up to 140 characters displayed on the user's profile page. Tweets are publicly visible by default, however senders can restrict message delivery to their followers. Users may subscribe to other users' tweets—this is known as following and subscribers are known as followers. You may use third-party apps. for effectively using Twitter. reddit.com-Reddit is a social news website, owned by Condé Nast Digital, a subsidiary of Advance Magazine Publishers Inc. Users (also referred to as redditors) have the option to submit links to content on the Internet or submit "self" posts that contain original, user-submitted text.Other users may then vote the posted links "up" or "down" with the most successful links gaining prominence by reaching the front page. In addition, users can comment on the posted links and reply to other commentators consequently forming an online community. Reddit users may create their own topical sections, known informally as subreddits and officially as communities, for which to submit their links and to comment. box.net- Box.net is a cloud-based content management solution for individuals and companies ranging from small businesses to large corporations. The company has adopted a freemium business model, and provides 5GB of free storage for personal accounts. A mobile version of the service is available for iPhone, iPad, and Android devices. Box.net's competitors include Dropbox, Sharepoint, Sugarsync, and Documentum. blogcatalog.com- Blogcatalog.com is the ultimate source for all things blog. The site is mostly can be for people who want to start a blogging community,people who like to read blogs, or for promoting blogs. It seems we need to verify our blog by adding verification code provided by this site. fark.com-Fark is a community website created by Drew Curtis that allows members to comment on a daily batch of news articles and other items from various websites. As of June 2009, the site boasts approximately four million unique visitors per month, which puts it among the top 100 English language websites. The site receives approximately 2,000 story submissions per day and approximately 50 of them are publicly displayed on the site. 43things.com-43 Things is a social networking website that is built on the principles of tagging, rather than creating explicit interpersonal links (as seen in Friendster and Orkut). Users create accounts and then list a number of goals or hopes; these goals are parsed by a lexer and connected to other people's goals that are constructed with similar words or ideas. This concept is also known as folksonomy. 9rules.com- 9rules is a blog network that serves as an online community of blogs and bloggers. In 2006 it took the award for Best Community Site of the Year at SXSWi in Austin, Texas. linuxquestions.org- LinuxQuestions.org (commonly abbreviated LQ) is a community-driven, self-help web site for Linux users. As of April 2009, it has over 400,000 registered members. Started in 2000 by Jeremy Garcia, LQ is one of the most popular free software community sites and is usually reputed for helpfulness. stumbleupon.com - StumbleUpon is a discovery engine (a form of web search engine) that finds and recommends web content to its users. Its features allow users to discover and rate Web pages, photos, and videos that are personalized to their tastes and interests using peer-sourcing and social-networking principles. myspace.com-MySpace is a social networking website. Its headquarters are in Beverly Hills, California where it shares an office building with its immediate owner, News Corp. Digital Media, owned by News Corporation. Myspace became the most popular social networking site in the United States in June 2006. According to comScore, Myspace was overtaken internationally by its main competitor, Facebook, in April 2008, based on monthly unique visitors. folkd.com - folkd.com (short for Folksonomy and pronounced like "smoked") is a social bookmarking and social news website that has been founded in 2006 by Bastian Karweg out of Germany. The website has grown into one of biggest services of its kind and currently lists over 8 million public bookmarks by more than 500.000 users (as of May 2010). Folkd is available in 4 languages and also has a strong user base in India. The site devotes itself to "enrich your websurfing experience" and also offers an IE and Firefox AddOn to collect, save and share bookmarks while surfing. 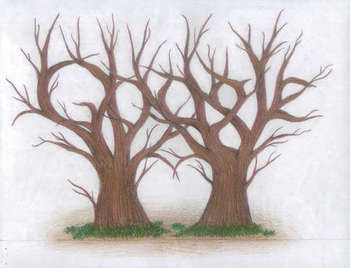 google.com/bookmarks/- Google Bookmarks is a free online bookmark storage service, available to Google Account holders. It allows one to bookmark favorite websites and add labels or tags, and also notes. qualitypointtech.net- Book Mark your favorite links easily using Bookmarklet provided by QualityPoint Technologies. facebook.com-Facebook is a social network service and website launched in February 2004 that is operated and privately owned by Facebook, Inc. As of January 2011, Facebook has more than 600 million active users.Users may create a personal profile, add other users as friends and exchange messages, including automatic notifications when they update their profile. Additionally, users may join common interest user groups,organized by workplace, school, or college, or other characteristics. The name of the service stems from the colloquial name for the book given to students at the start of the academic year by university administrations in the US with the intention of helping students to get to know each other better. Facebook allows anyone who declares themselves to be at least 13 years old to become a registered user of the website.Facebook was founded by Mark Zuckerberg with his college roommates and fellow computer science students Eduardo Saverin, Dustin Moskovitz and Chris Hughes. yammer.com - Yammer is an enterprise social network service that was launched in September 2008. Access to a Yammer network is determined by a user's Internet domain, so only those with appropriate email addresses may join their respective networks. According to TechCrunch in September 2010, the service is being used by more than one million users and 80,000 companies worldwide, including 80% of the Fortune 500.
myhq.com/- Easily manage your bookmarks in a banner ad FREE environment. Import/Export, create public pages (password protected if you wish), share bookmarks. All for FREE. bordom.net- Bordom is a collaboratively edited blog of funny memes, strange news, and other fascinating things found on the Internet. bibsonomy.org -A blue social bookmark and publication sharing system. You can see the up-to-date list of Social networking Sites in our Forum. Let me know if you find any broken link or if you want to add any new Social Networking site in this list. 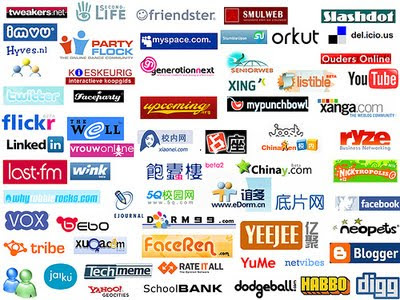 You can see the list of social networking sites with simple explanation about them at this link. Wikipedia is also providing the list of Social networking sites with some statistic about them. And, you can see around 700 social networking sites here. I am not sure whether all the sites are active now. If you find any inactive site in the list you can report it thro' the comment section. This page lists the 97 social bookmarking sites along with their page rank. You can vote for your favorite Social networking site below. And, use the comment section to specify why you like the specific Social networking site. viralcontentbuzz.com-You have to earn credits by sharing others content in social media sites.With the credits earned you can share your contents. This Year "Google I/O" (Google's Developer Event) took place on May 19th and 20th at Moscone Center, San Francisco. Find below the key things among over 80 Sessions about Android, App Engine, Chrome, Enterprise, Geo, Google APIs, GWT, Social Web and Wave. These sessions are given by the speakers who are leaders and technical experts in web application development. Find below the video of keynote about Google TV. Google blog says "By giving people the power to experience what they love on TV and on the web on a single screen, Google TV turns the living room into a new platform for innovation"
Sign-up to get update about availability of Google TV. Using a special remote with a built-in keyboard, Chrome will allow users to access TV shows and video content on traditional platforms such as cable and satellite, as well as on the Internet. Google TV will be powered by the Intel Atom CE4100 chipset, which will also be in Logitech standalone Google TV boxes. It will be available for sales in Best Buy stores in the fall. Google is working on to have Strategic alliances with companies such as Jinni.com and Rovi. Jinni.com will contribute social features to the Google software, and Rovi is known for its television guide software. Google will release API for allowing the Developers to develop their own applications for Google TV. Web Developers can find the Guidelines here for developing the websites compatible for Google TV. Google Chrome users will be able to create convenient shortcuts in Chrome for easy access of web apps. in web Store. The Chrome Web Store will be available to users later this year. Developers will have the option to easily sell their apps through the store using a convenient and secure payment system. Read this Developers Guide to know how to create your own installable Web apps. You can join this Google group to know more about Chrome Web Store Apps. Google App Engine for Business introduces a number of new features for enterprise customers. You can track the progress of the "App Engine for Business" from here. Find below the highlights of Android 2.2 from the android blog post. Performance & speed by using new Dalvik JIT compiler in Android 2.2. New enterprise capabilities such as account auto-discovery and calendar sync. New APIs and services such data backup API. Additions to Android Market: Developers will be able to access crash and freeze reports from users via their account on the Android Market publisher website. Google says "If we did not act, we faced a draconian future. Where one man, one company, one carrier was the future." as reason for bringing up Android. Google has introduced Google Font Directory and Google Font API for making high quality web fonts available for everybody on the web. The above text is getting displayed using "Tangerine" which is added just by including below piece of code in the head section of blogger template. You can see the available open source Fonts here. And, you can get details about Font API here which gives below benefits. -A choice of high quality open source fonts. In my previous blog post about On2 acquisition (August 2009), I have mentioned that we can expect Google to open-source the VP8 video codecs. As per our expectation Google has announced WebM which includes below things. -Vorbis, an already open source and broadly implemented audio codec. -A container format based on a subset of the Matroska media container. This free open-sourced WebM will a google alternate for H.264 which needs royalty fees after 2015. You can follow @googleio to get any updates about Google I/O. BTW, What is I/O in Google I/O? Stands for "Innovation in the Open"? Where is "I am feeling Lucky"? No "luck" today? Pacman ate it? Today Google is showing Pacman Game as Doodle in the Home page. So, we can play pacman Game from Google Homepage itself. Google has replaced the "I am feeling lucky" button with "Insert Coin" for resetting the Game. I am just wondering how come google ignored this "I am feeling lucky" option? Is it not really useful? Google is testing to remove it forever? You can mention in the comment whether you are using "I am feeling lucky" button when doing Google search. Personally, I am not using "I am feeling lucky" feature. Will it really save time? Few months back, Google had announced a Doodle Contest for the theme "If I Could Do Anything, I Would..."
Now, Google has shortlisted the Doodle drawn by the Students. We can vote to choose your favorite one. We can vote till May 25th. Winner's doodle will appear on Google.com on May 27, 2010. Find below some of the Dreams of the Students. give everyone in the world a super fast computer and Internet. splatter the whole world in bright colors. Colonizing the moon would provide homes for the homeless. bring you hope and healing. Which one you like much? Find below the Major Benefits and Reasons for buying my eBook about Software Testing and QTP Automation. This eBook is having only around 60 pages. i-e I haven't included any tutorial about QTP. Because we can see good Tutorial in QTP help file itself. So, you need not skip any portion of the ebook. You can just continuously read this eBook. I have given links to other Good Testing Articles on the web. I just wanted to convey these things as Marketing Experts suggested to convery benefits of the book for buyers. I asked below question to the some of the Marketing Experts. And, I got below reply from one of the Experts. My suggestion would be to do the following. These would take more time but will give you substantial benefits. 1) Create a free report which maybe contains a couple of points from the ebook and distribute it free in return of an email address. Have a webpage where people can come and enter their email and name. they receive an email to confirm the email id and then they can download this free report. This would get them interested to buy the book. Once you have the emails you can send them offer to buy the book. 2) try site like www.clickbank.com where their are products listed. 3) Give a 15/30 day no questions asked money back guarantee. 5) you could have an affiliate program where if a person directs a lead to your page and there is a sale he gets 25 - 50% of sale. Another Expert has given below Suggestion. To get people to buy you need to tell them what the benefits of the book are for them and what they will get out of it. In respect of pormoting it, if you can get some articles published in magaazine and papers that your target audience read, that will help promote the awareness of it. If you can also do speaking engagements ona topic related to it, aimed at your target market and then promote the e-book as a special on the day for those who attend. Learning QTP (Quick Test professional) will become easy if we practice some simple tutorials with QTP. HP is providing free trail offer for Quick Test Professional. Follow below steps to have a QTP set up. You can see the download link under "trail versions" in the search result. Once after downloading it you can easily install it just by clicking the setup icon. You will need maintenance number while doing installation. You can contact the HP to provide Maintenance number for you. This Trail version will be valid for 14 days which is enough to learn QTP. You need to create HP login for downloading it. Our eBook will help you to understand and learn QTP . Recently I have started selling my eBook about Software Testing and QTP automation using our own Sales page after seeing significant sales of Amazon Kindle version even when a Buyer has given negative review comment about this book. Amazon will be taking major share in the income from the book sales. So, I wanted to promote the direct sales of my ebook from our sales page. And, I have set up oscommerce shopping cart for these sales. But I prefer to use individual sales page than using the shopping cart to make the purchase process very easy. Anyway, I will be using the shopping cart in near future as I am planning to sell more digital products. Since this is my first direct sales, I wanted to just start the sales first without caring about the price. So, I set the price as 5$ only as Introductory offer price. And, set the price as 9$ after few days. Still keeping the same price (9$) even after I added new chapters in the eBook. I am planning to end this 9$ offer on coming 25th (25th May, 2010). So, if you buy this eBook before May 25th you can save significant amount of money. I am trying lot of different ways to increase the sales of our eBook and started getting the expected result. So I will be increasing the price equivalent to other Software Testing related books. If you want to save Money you can buy this eBook now. Find below some of the ways I am trying to promote our eBook. This approach is giving additional advantage also. Some people are showing interest to buy links. i-e willing to pay money to put their link in our site. But I am bit hesitating to accept their offer, because I am not sure whether it will affect our search rank, I will accept it after doing more analysis. - My ebook is about software testing and QTP automation. Daily, I am answering software testing related questions in forums such as sqaforums.com . And, I have added my ebook sales page link as forum signature. -I have joined all software testing related groups in LinkedIn and participating in software testing related discussions and starting new discussions also. - And, whenever I am reading any software testing related blogs, adding relevant comments with my required keywords in the link text. -Collected RSS feeds from more than 60 software testing related websites and combining them using yahoo pipes and feeding it into twitter using cron job. -Frequently tweeting the ebooks sales page link or any bridge page . I have developed one simple tool for sending tweet to all our twitter accounts with single click. - Published most of the ebook content in Google knol which is gaining better search rank compared to our site/blog. And provided the ebook sales link in these knol pages. - Our team used to submit my blog posts into most of the social bookmarking sites. - published most of the ebook content in document sharing sites such scribd, slideshare.net and docstoc. And, put the ebooks sales page link there. - Setup discussion forum for doing discussion about software testing (not yet started giving traffic) and completed an module "easy learning" which will be useful for improving memory while learning any topic such as Software Testing. As of now I have added content only for software testing, and planned to add more topics such as php/mysql web development and SEO. - Running quiz with "Software Testing" as one quiz topic. And provided ebook sales page link there. - And I am sending free ebook to a person who refers the ebooks sales page link to more than 50 people. - Uploaded Data feed in Google Merchant Center for showing our eBook sales page link in Shopping part of the Google Search. I am planning to start selling many Software applications soon, and mostly I will be setting very less price as introductory offer price for few days. So, you can bookmark this blog for getting the updates about our coming products. Currently we set the price as 60$ $80 only. i-e Any number of employees in your company can use this time sheet for any number of years just by paying $60 $80. There is no user based license restrictions. It is introductory offer only. We may implement user based license and yearly license in future. Anyway, if you buy this timesheet during this Offer period, you need NOT make any additional payment at any time. i-e You can use it for any number of employees for any number of years. From the Sales page you can immediately download the the php/mysql code/database once after completing the payment. You can see the Live Demo before buying it. Please let me (rajamanickam.a@gmail.com) know if you find any junk data added in the live Demo so that I can remove them. And, you can easily set-up it by yourself by reading the readme file. Anyway, our Team will help you to set-up the timesheet freely if you find any difficulty in doing it by yourself. Find below the Key features of our Time Sheet. Apart from this if you need any additional custom features and any new modules we can do it for you for minimum price. Contact me with your requirements to get the quotes. Ok. Let me explain the story behind this TimeSheet and the need for the TimeSheet. Tracking Employee work hours is important to measure the performance of the employee and for doing effective task allocation. Combining Employee work hours with Project hours will help us to know which project is giving more benefit for us. And it will help us to put appropriate employee for the suitable project. By using single Time Sheet we can track employee work hours and the project hours. So, it can be used for Client billing purpose also. By seeing previous projects we can easily estimate the upcoming project prices. And similarly by seeing performance of the previous employees from timesheet we can hire suitable new employees. Since I know the importance of TimeSheet, I wanted to implement it for our Employees when I started this Company in Year 2008. First, I searched the internet to know whether any free Time Sheet Software is available. Merely doing Google search given a impression that lot of free Time Sheet Software were available. But after doing some analysis, I couldn't find any genuine free Time Sheet Software. There were many issues, short-comings and hidden charges were there even when they claimed as Free. And, then we started enquiringly about paid Time Sheet /Project Management Software. I came to know that pricing is very high. For example you can review the prices for some them here. Especially we need to pay for them whenever a new employee joins with us, and we need to pay every year also. This pricing is definitely not suitable for any small start-up company. So, I wanted to develop our own TimeSheet Software, and we developed this php/mysql based TimeSheet. And we are using it for more than a year without any issue. It really helps me to evaluate our Team performance and the project performance. Only thing is we need to make sure every employee enters his work time properly. For monitoring this we have provided Defaulters list feature. You need not have separate company or Team to use this TimeSheet. It will be useful even if you are doing freelance projects or doing your own projects. Basically it can give details about effectiveness of your projects even if you are the only person in your Team. And, the projects need not be a Software project. It can be any type of work. Now we can see the important question "Why I fixed very less price while the other equivalent products are selling mulitple folds of this price?" The answer is simple " I believe in win-win approach". Let me explain in detail. I know most of the start-ups will be started with small budget but with strong vision. And as we witnessed in the past years, significant number of these small budget stat-ups will be growing very rapidly into well known companies earning Millions/Billions of Dollars. So, by setting small price for this TimeSheet application, I can attract these type of small budget start-ups to buy this. And, obviously this initial relationship will continue when they grow. So, we will be definitely getting good gain in long run. It will ultimately help us to achieve our Vision. Anyway, we will either increase this $60 $80 price soon or will implement user based and/or year based limitation. Because I am expecting many people will start buying this TimeSheet. It may be difficult for our small Team to give support for every one. So, we will increase the price bit high (anyway it will be reasonable) if we face such situation. For Example, when I started selling our eBook about Software Testing and QTP automation with 5$ price large number of people bought it in first few Days itself. It was difficult for me to address their queries. So I increased the price to 9$ soon. Feel free to forward this post to your friends and to share with Social bookmarking sites. And, Share your comments if you need TimeSheet and don't want to buy from us. Your comments will be useful to release our next version with more good features. Watch below the video explaining the importance of TimeSheet. LinkedIn is one of popular Social Networking websites. I used to show my LinkedIn profile in many places including my blog and email signature. Even I used to send email invites to the people who are in my email address book. Yesterday also I had sent many email invites. But, starting from Yesterday evening I couldn't login into the LinkedIn Site. It showed error message "Access to this account has been suspended"
So, immediately emailed the Linked Customer Service asking about the reason for this issue and ETA for resolving this issue. But, I didn't get any reply other than the below message which was sent automatically. I didn't get any reply for my below message also. Please let me know whether I will be getting back the account, or I need to create new account? I have provided the my LinkedIn profile in many places. So, I would like to know whether I need to remove them or I will be getting back the account soon? And, I got immediately reply from them. I had sent them the error message details and DM my email id as they asked, and waiting for their reply. Now I am having below questions. 1. Why LinkedIn Customer Service is not sending any reply for my query whereas LinkedIn Twitter account sends reply? Is the LinkedIn Twitter account is NOT an official account? I am not seeing Twitter "Verified" symbol for this account. 2. The reason for suspending my account? From my Google search I came to know that some people already faced this issue and stated the reason as the excessive email invites to the unknown people. If this is the reason then it is completely meaningless. Because some simple software module for tracking the "I don't know" responses can be used for limiting the available invitation count to avoid any spam. No need to suspend the account. And first of all it is very difficult to measure whether I know the person or not. Anyway, always I will be against any Spam activity as I know the importance of avoiding spam in our forum. And, one person had mentioned that his profile got blocked because he used his marketing name in his last name. I am using "QualityPoint Technologies" in the name, is it an issue? But it is there from day one. 3.Why they should remove public profile while my connections are able to see my profile? Can I ask Google to de-index my LinkedIn profile from Search results? Will it affect my other search ranking? 4. If there is any Technical issue from LinkedIn side, why they are not sharing it? And, if I violated any of their TOS unknowingly why can't they just share it with me so that I can correct it? previously I had mentioned that Google is irresponsible in resolving any issues related to incorrect behaviour their web-robots. But any anyway they responded immediately for solving important issues such as bringing back our Gmail account from hackers. Since I have used my LinkedIn profile in many places, my linkedIn profile is getting displayed in first page of Google search results when searching for "qualitypoint". Now, the people clicking this profile link will see "Profile Not Found" message. We can understand the Danger of using our LinkedIn profile in our blogs and websites. So,think twice before showing your LinkedIn profile in your blogs and Websites. If anyone faced similar issue you can share here thro' comments. And, I am just thinking whether I need to extend our Social Bookmarking Site into a Complete Social Networking site. You can share your expectation about new features in the Social Networking Site. Since I didn't get any update even after 4 days I had sent mail to akelly@linkedin.com. But I got Out of Office auto-response. Again I sent the email to kpilgrim@linkedin.com and Mkorcuska@linkedin.com which are specified in the auto response email. But again I got Out-Of-Office Auto-response from kpilgrim@linkedin.com with suggestion to contact tbook@linkedin.com and Cwiig@linkedin.com. I sent email for them also. Let us see what will happen, and I will update here onnce I get any response. I got below response from one LinkedIn person. Your message is in the queue for response and the team will get back to you soon. On a brief glance at your profile, I notice that you’ve put something other than your name in the designated fields on your account (ie you can’t put the name of your company there). There may be other issues as well. Again, a Customer Service Rep will be reviewing your account and will get back to you soon. Thanks for your patience. It is an especially busy time for us. And I had sent below reply to them and waiting for their response. Actually I am keeping the company name in my name for long time. If the company name in Name field is the issue, I can correct this issue. But for making this correction I should be able to login to the LinkedIn account. But please note that already 4 days passed after seeing this issue. I understand that I am using free version of LinkedIn, so there is no obligation for you to give back my account. Last 4 days, my blog readers and site visitors are seeing "profile not found" error message when clicking my linkedIn profile link from our blog or from Google search. We are a start-up in growing phase. In this stage, these type of error messages will definitely reduce our reputation. That's why I am trying hard to get reply from LinkedIn Customer care. But I am very much frustrated with this much delay. I am not sure whether everyone is facing this much delay. In this case you need to change the wordings in the below auto response. LinkedIn has received your question. A service professional will review and respond to your inquiry as quickly as possible. Instead of saying "as quickly as possible", if the auto-response specifies some specific time, I will not get this much frustration. I will be just convey this message to our blog readers and will patiently wait till the specific time. I am just wondering how LinkedIn is verifying whether the name is company name or our name. First, LinkedIn Support Team partially lifted the restriction for allowing me to edit the Name field. Once after removing the company name from the Name field, the Support Team fully lifted the restriction. Now I am able to login into my LinkedIn Account and my LinkedIn public profile is getting loaded correctly.